I “met” Lisa-Jo Baker online through (in)courage. If you have not met her, you really should. Head on over to her website and pursue her musings; you will be glad you did! These past two weeks I have participated in Lisa-Jo’s “Five Minute Friday” writing prompts and have been truly blessed (you can read my prompt responses on my new website, Echoes of My Heart and here also). The other day Lisa-Jo tweeted that her book was available for advance copy review and the rest is history; well, her story. This beautiful, true story that crosses continents and draws you into the heart of one mom who was not planning on being one. I laughed…I cried…I learned…I grew…I blossomed. Surprised by Motherhood is a fresh breath of balmy air for the mother’s weary heart. 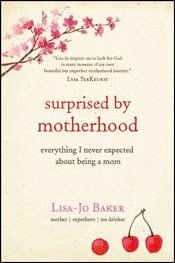 The winter seasons of life may be piled heavy on your shoulders, but through this well-written memoir, Lisa-Jo Baker invites you to dance in the rain, fumble through the pain, and celebrate the glorious mess that is motherhood. This is not a self-help book, but a help yourself kind of book. Help yourself to extra helpings of grace, and chocolate, as you are encouraged to be you; an imperfect mom who loves her kids like crazy, and can admit that they drive her crazy too. Enjoy the far-reaching, yet intimate tour of Lisa-Jo’s heart, as she leads you on a journey of discovery, healing, and freedom to embrace your own, stretch-marked, skin. So many thoughts are going through my head and heart as I process this book. But one thing that I will share now is how I related to the tug of war that went on in Lisa-Jo’s heart. 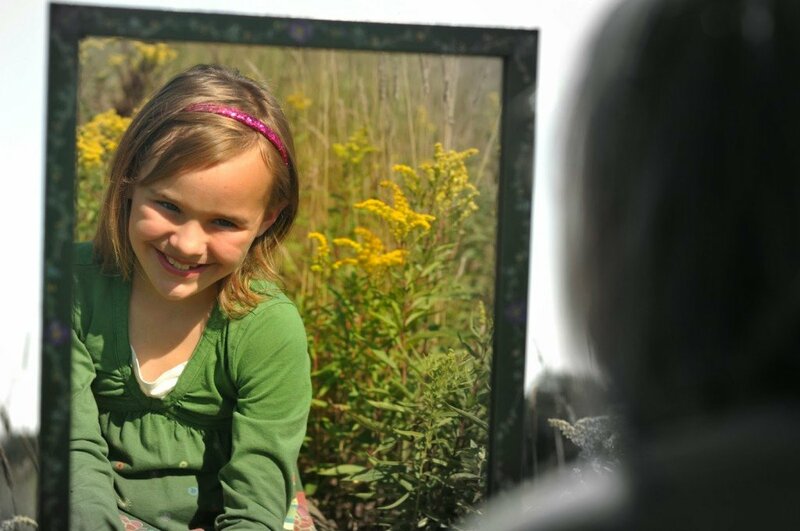 That tug a mother feels…wanting the freedom to do the things she wants vs. never wanting her children to grow up (like that Taylor Swift song that gets me every time, as I lock eyes with darling daughter through the rear-view mirror). Mothers may want the hard stuff to stop (like the tantrums, the never-being-alone-in-the-bathroom, the fights, the spills, the messes, the rolled eyes)…“They may want to find room to breathe, to weep, to panic. But they don’t want it to end- this delivering, shaping, cheering, loving, bringing life into the world” (one of my favorite quotes from Surprised By Motherhood). You really should read this book. It comes out April 1, 2014. I wish I could buy all you moms a copy of this. It truly is a gift. *I received this advance copy e-book for free in exchange for an honest review.